Bob Day from Family First in South Australia may not have been capable of being chosen as a Senator according to section 44(v) of the Constitution and Rodney Culleton from One Nation may also have been ineligible from being chosen according to section 44(ii). A few weeks ago we wrote an article about why, under the Australian Constitution, a bankrupt person can’t sit in Parliament. But what we wrote was about someone becoming bankrupt while sitting in parliament. Section 44 also covers disqualification from ‘being chosen’ as a Senator or MP. Here’s a link to the full text of Section 44. The language is hard to understand, so let us break down the two cases for you. Any person who….has any direct or indirect pecuniary interest in any agreement with the Public Service of the Commonwealth….shall be incapable of being chosen….as a senator…. So what direct or indirect pecuniary interest might Bob Day have in an agreement with the Commonwealth that would mean he is not capable of being chosen as a Senator? The media has reported that Bob Day’s electoral office, of which the Government pays rent is owned by a business associate of Mr Day. This business associate purchased the building from Bob Day in 2014 and Mr Day remained a guarantor upon the loan on the property. Being a guarantor on the loan may mean that Bob Day has a pecuniary interest in the property. It’s in Bob Day’s interest to have the rent paid for the office so that the owner can pay the loan to the bank. Interestingly, Bob Day entered into an agreement with the Government to rent this office as far back as 2014. The situation including the sale of the property and then payment of rent have changed over that time, but it will be interesting to have it decided how far back this might go. 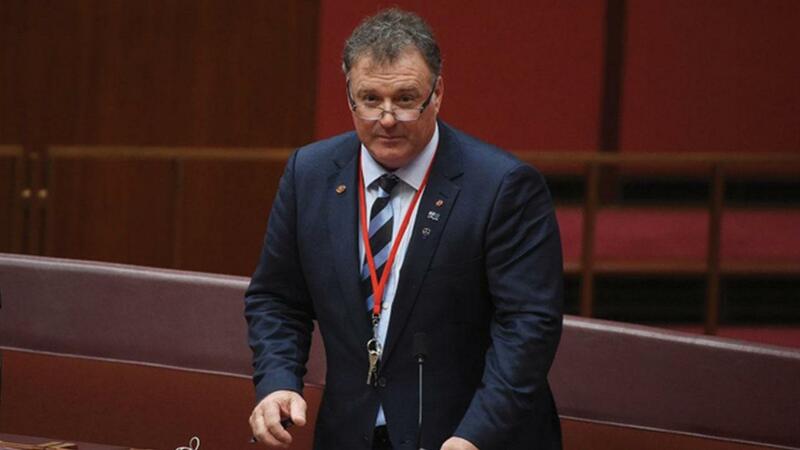 In March 2016, Senator Culleton was convicted of larceny for stealing a tow truck key in Guyra, NSW, in 2014 from a driver seeking to repossess a company car. Any person who….has been convicted and is….subject to be sentenced, for any offence punishable under the law of the Commonwealth or of a State by imprisonment for one year or longer…. shall be incapable of being chosen….as a senator…. Since the election Rodney Culleton has pled guilty to the offence and has avoided having a conviction recorded. However at the time of the election he may have been ‘incapable of being chosen’ as a Senator because he had already been convicted of an offence that carries a penalty of more than 12 months jail. What does ‘shall be incapable of being chosen' mean? Section 44 enumerates different kinds of status which, while they continue, render “any person” incapable of being chosen or of sitting as a senator or a member. That is to say, the continuance of the disqualifying status makes a “person” incapable of becoming or being a senator or a member. If a disqualified person is declared duly elected, he is nevertheless not chosen within the meaning of the Constitution, and accordingly is not a senator or a member. He is forbidden to sit as a senator or a member, and is liable to a penalty if he does so sit. This section does not, like the next section, declare that “his place shall become vacant,” because he is incapable of having a place. The proper course for the House, upon proof of the disqualification, is either (1) to declare the candidate next on the poll duly elected, or (2) to declare that the seat is vacant—not that “his place is become vacant”—and require another election. There are plenty of election analysts that have formulated recounts. In Western Australia a recount would likely give the Senate seat to the next person on the One Nation ticket, Peter Georgiou. For the South Australian Senate seat there is an extra problem with the recount. If a recount is done as the SA Senate ticket stands, the seat is likely to go to the next person on the Family First ticket. This is Lucy Gichuhi. However, with Bob Day gone from the ticket, it leaves Gichuhi as the only candidate on the Family First ticket. To be eligible for a box above the line on a ballot paper, a party must have more than one candidate. The High Court shall be the Court of Disputed Returns, and shall have jurisdiction either to try the petition or to refer it for trial to the Federal Court of Australia (the Federal Court)…. The Electoral Act gives the High Court the authority to act as the Court of Disputed Returns if a petition is brought to it by electors or unsuccessful candidates. Cases can be heard by just one judge and they can be referred to the federal court. So the Houses of Parliament can decide whether an MP or Senator should be disqualified or not. There has been quite a lot written about the perceived inconsistency of the High Court adjudicating upon a Chapter I power when it acts as the Court of Disputed Returns. Disputed election in Section 47 is found in Chapter I of the Constitution which stipulates the powers of the Parliament. Meaning questions about disputed elections are a parliamentary power. The Judicial power and the High Court are outlined in Chapter III of the Constitution. Like all useful principles the separation of powers principle depends for its operation upon a concept which is as imprecise as it is malleable. There is now a long history of the High Court acting as the Court of Disputed Returns and a similar practice is followed in many countries with similar democracies to ours, including Canada, the UK and New Zealand. The Western Australian dispute does not seem complicated. The Court of Disputed Returns will decide whether Rod Culleton was incapable of being chosen as a Senator on 2 July. If he was incapable, then Peter Georgiou from One Nation is likely to be elected in a recount of the ballot papers as described earlier. The South Australian dispute is more problematic. Will the Court of Disputed returns omit Family First from the ballot if it is found that Bob Day was incapable of being chosen? Will they leave the ballot paper as it is and just recount or could they order another South Australian Senate election? These questions will be answered in the coming weeks and months. How do we prevent this happening again? Should Rod Culleton who grabbed a key from the hands of a tow truck driver and chucked them in a ditch be disqualified from sitting in Parliament for that act? Should Bob Day, who went guarantor on a loan for his electorate office be ineligible of being chosen as a Senator? Many people see these as such minor things. But they are enshrined in our Constitution. There was discussion at the time of federation that some of the parts of section 44 of the Constitution might be too harsh. Since then Parliamentary Committees have heard submissions and written reports suggesting changes to this section. However any changes to the Constitution require a referendum where more than half the people overall and in at least four states agree. Do you think we should have a referendum on section 44? And would it succeed?